Slip, 4.5 x 6.5 in. / 53 color postcards. 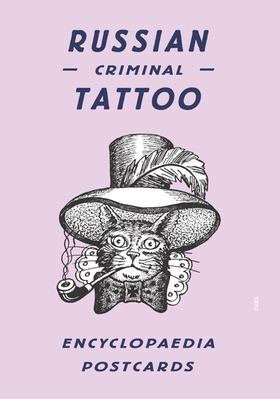 An essential companion to the bestselling Russian Criminal Tattoo series. 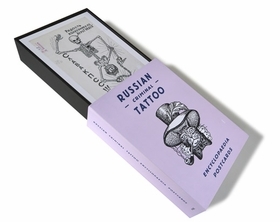 This beautifully produced boxed set of 53 postcards contains stunning images from the bestselling Russian Criminal Tattoo Encyclopaedia series of books. These hugely popular and influential books document the Russian criminal tattoo, revealing its hidden meanings. The motifs depicted represent the uncensored lives of the criminal classes, whose tattoos were a secret tribal language, a method of showing status within the prison system. By turn they are extraordinary, artful, explicit and sometimes just strange, reflecting as they do the lives and traditions of this previously hidden world. 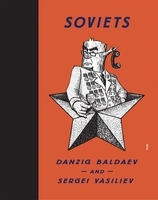 The box features 25 original sheet drawings by Danzig Baldaev and 25 photographs by Sergei Vasiliev. Each has a detailed description of the meaning of each tattoo on the reverse. Also included is a postcard of each of the three book covers. 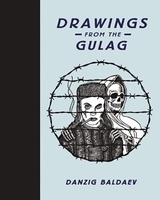 The drawings printed on the postcards are facsimiles of Baldaev’s original sheets, reproduced directly from the Russian Criminal Tattoo Archive. Previously unpublished in this form. FORMAT: Slip, 4.5 x 6.5 in. / 53 color postcards.